School Library Journal School Library Journal | Problems We’d Like to Have: Where Do I Fit All My Medals? 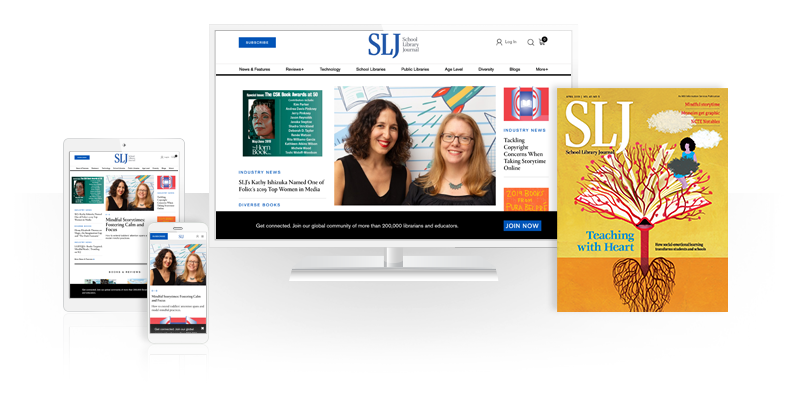 School Library Journal | Problems We’d Like to Have: Where Do I Fit All My Medals? When I lived in New York City, publishers were a dime a dozen. Big publishers, little publishers, a whole slew of them are located in Manhattan (with a couple in Jersey and a few in Brooklyn). You get jaded when you live there. Then you move away and it’s a whole new ballgame. Oh, you can find other publishers around the country. There’s Lerner in Minneapolis and Chronicle in San Francisco, to name but a few. The Chicagoland area is a bit trickier. I’ve found a couple folks here (Albert Whitman, Chicago Review Press, etc.) but it’s definitely a smaller number than I expected. Then I discovered Agate Publishing. It seems crazy to think that Evanston, IL, the little town in which I reside, has managed to produce a publisher that in 2018 won a major children’s literature award or two. Or five. In 2016 Agate Publishing announced a new imprint: Denene Milner Books. As the press release at the time put it, it was, “a new line that Agate will publish in its Bolden Books imprint, which is devoted to the work of African American writers. Our plan is to launch the line by publishing four titles per year in the categories of children’s books and fiction and nonfiction for young readers of different ages.” They started off with Early Sunday Morning, which was a good book illustrated by none other than Vanessa Brantley-Newton. But nothing really prepared me for Crown when it debuted in 2017. Nothing prepared Agate either, I warrant, because when the awards started coming in, they clearly had a problem. Where the heck were they going to put those medals? Medal placement is a problem few of us have to face in our day-to-day lives. But for a winning publisher, it can be a major chore. Let’s say you have a busy cover. Lots of stuff going on. Maybe a prominent face. You don’t want to cover up the main character, but at the same time you don’t want to leave off any medals. Apparently ALA committees get a bit peeved if you opt out of showing off the shiny stickers they worked so many months to award. So what was Agate to do about Crown? To answer that, let’s look at what a couple other books have done with their medals in the past. After all these years I’m still puzzling over what they were going for here. I think they thought it was akin to a piece of later 19th century folk art, but that’s just a guess. In any case, they were setting themselves up for trouble. How much room do you see there for medals? This cover sports a whole lot of stuff you are not going to want to cover up. And when the awards started rolling in, the results were less than entirely worthy. Once again, it’s the Scott O’Dell Award that takes the hit and disappears. But that’s still a great cover. A vast improvement over its predecessor. Clever, right? The circle of crowns now becomes a circle of award seals. According to Agate Publishing, “our reprint will feature those four seals, plus an updated back cover.” They were also careful to space the seals in such a way as to allow the original crowns the chance to peek out from behind them. But maybe my favorite image from all of this is one that you probably won’t see much of anywhere. As Deirdre told me, “After the announcements we made a graphic with the seals on that page but we haven’t done anything with it yet.” Seems to me pitch perfect in every way. By the way, it is curious, is it not, that all the examples of book jackets feature black faces and creators. What are we to infer from this? I selected them because they are the three best known examples of lauded books looking to find places to put their award seals, but do these problems stem from publishers’ unwillingness to bank on critical praise or is the answer simply that I personally remember these books better? What are some other examples of book jackets that were unprepared for the onslaught of acclaim? Let me know your favorites.